Sawyer is now 5 years old. He’s been looking forward to his birthday for over a month now. Just about every morning he’s asked me, is “today my birthday?” He chose to wear this new shirt he got from his Aunt Mardi today. 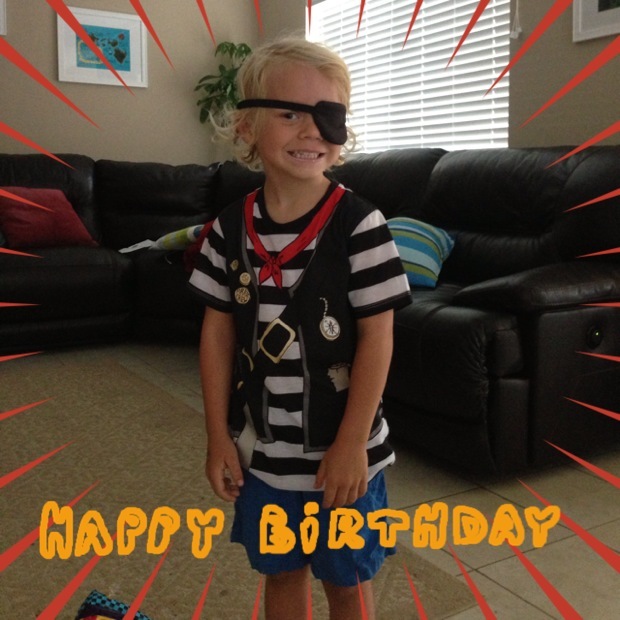 The patch didn’t last long, but he loved wearing this pirate shirt. Sawyer had a fabulous day. I let him call all the shots, well almost all the shots. After we took Avery camp, all he wanted to do was go home and play with his gifts. 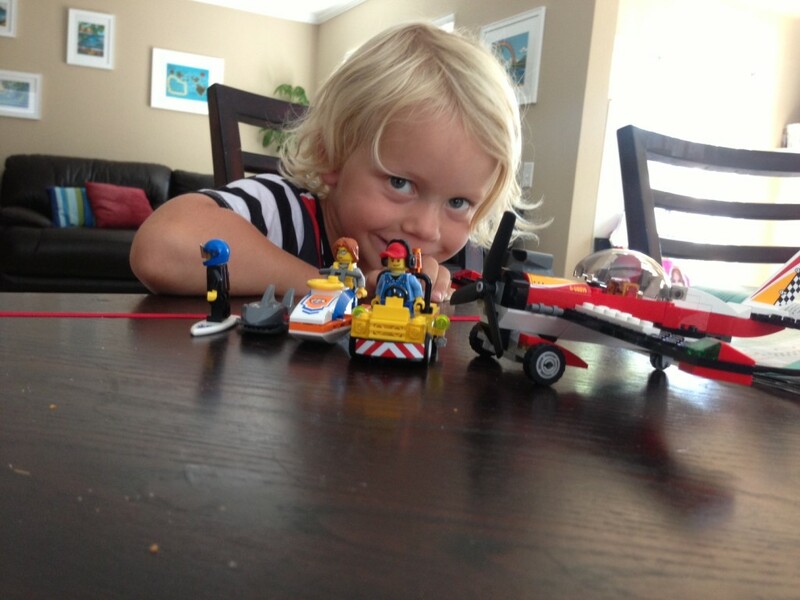 He opened a few toys, then moved on to the Lego kits. 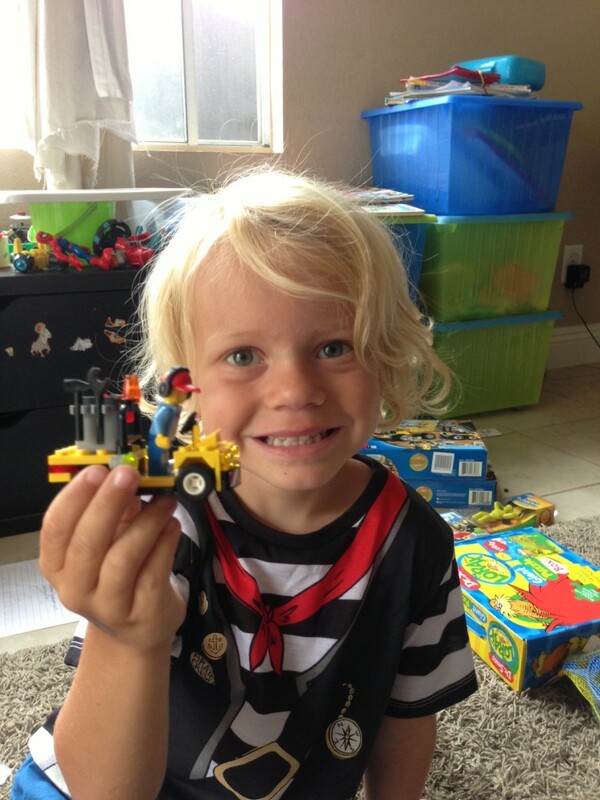 Sawyer built this Lego car from a kit all by himself. I was so proud of him when he finished, he was proud of himself too. All I did was help him with the stickers. He didn’t get frustrated, and he didn’t get mad and quit. When Sawyer plays his DS we usually have to make him take a break because he gets so frustrated. By the end of the day he built all these from Lego kits. It was nice to see him build these and I didn’t have to sit there and help him. 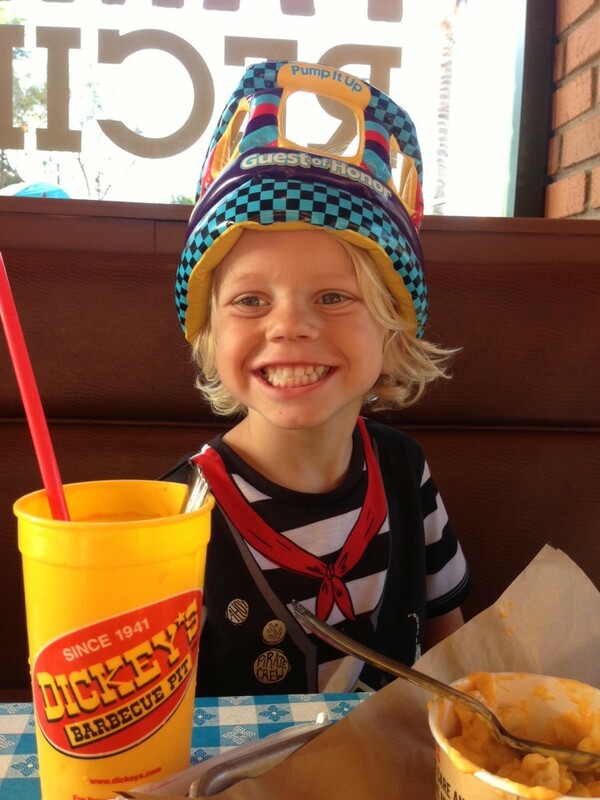 Sawyer chose Dickey’s for his birthday dinner. Not high-class but it’s a restaurant that we all like. At the end of the day, Sawyer told me he had the best day ever. He told me the best part was when Dan took him to pick out a new bike and helmet. We’ll go tomorrow to pick it up. He’ssure excited to be 5. Glad he liked the Legos! Definitely my favorite toys growing up.